Many may have noticed that while Dead Rising was still a great title, it was a lot different than the usual style game that Capcom delivers. The biggest reason for the change? Dead Rising was the first title from the Japanese developer to truly target a Western audience. 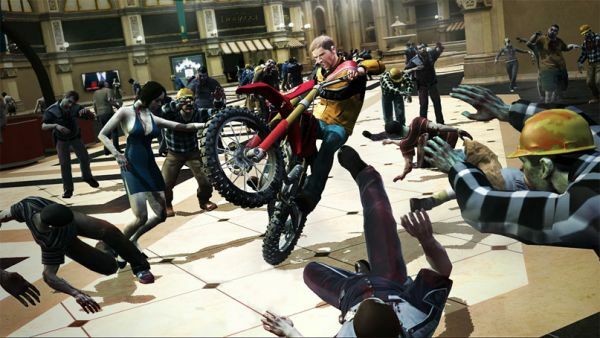 With the sequel, Dead Rising 2, on the horizon, Capcom opens up about their business change, Western development, and co-op. Capcom’s Shin Ohara delivers a Q&A session with Gamasutra, going into a lot of depth about how the games Western influences were truly accomplished. They also discuss the technical advances made for Dead Rising 2, and some potential upgrades for the title. [Gamasutra] How do you go about choosing a Western team to continue on an existing franchise like this? Based out of Canada, Blue Castle has been working with Capcom to deliver an even more impressive experience for Dead Rising 2. Part of that goal was to get as many zombies on the screen as possible, and consideration for the Kinect and Move have come to mind as well. [Gamasutra] You've got lots of zombies in the game now. How many zombies can you fit on screen? Shin Ohara goes on to explain that the number of zombies in Dead Rising 2 is staggering, not overwhelming. They didn’t want players to feel like they were ever completely stuck, or the space too jam-packed that no one could move. You can deal with tight spaces by Zombie walking (over zombies' heads, as seen in the first game), attacking them, kicking them away, or there will be enough space to walk around them if you’re careful. Otherwise, that sounds like a LOT of zombies, and hopefully the system can handle what they throw at us, since it sounds like they’ve figured out a way to make it possible on the software side of things. Finally, Gamasutra discusses the recently announced Kinect and Move possibilities for Dead Rising 2. [Gamasutra] Just out of curiosity, what do you think of the new motion control interfaces, such as Move and Kinect? In this case it seems like the good old fashioned controller wins out, but perhaps Capcom will consider some mini-games or something similar in the future for the title. Gamasutra has a lot of great information about the cooperation going on between Capcom and other developers like Blue Castle. We’re glad to see developers working together, and expanding horizons for an already fantastic company like Capcom. It won’t be much longer before we get our hands on Dead Rising 2 to try out this new tech for ourselves. I for one, can’t wait to tell you how the co-op works. We’ll see on September 28th what’s truly in store for us. Page created in 0.3053 seconds.